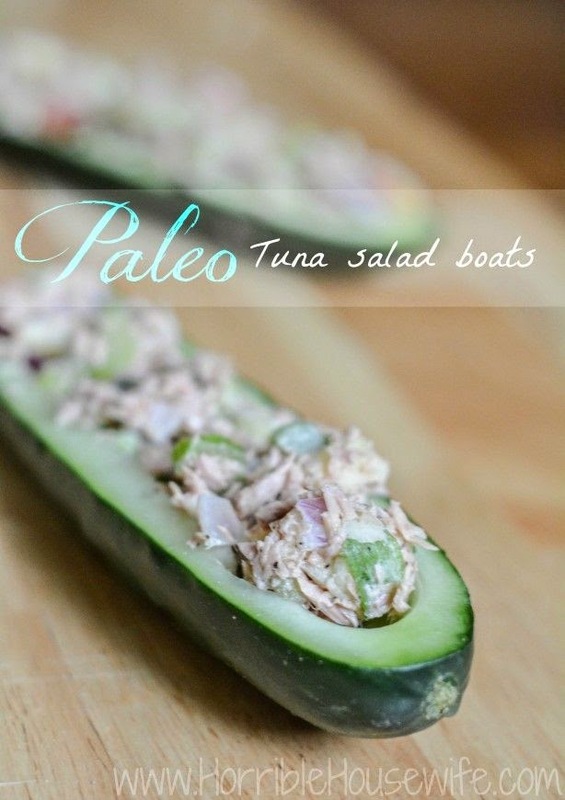 These Paleo Cucumber Tuna Boats look adorable and encompass on of my favorite ways to eat tuna - on cucumbers or with lots of veggies. These make it easy to eat on the go or outside on the deck, which is how my kids prefer to eat now that it is (relatively) warm out. 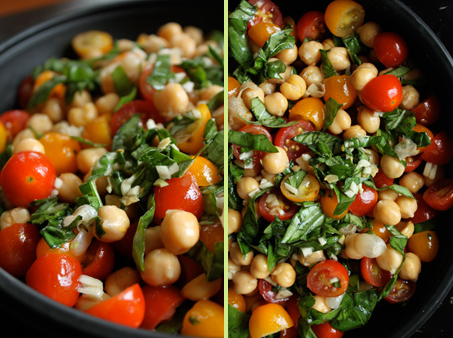 Chick Pea and Tomato Salad is so delicious and refreshing! I will be adding cucumber and red peppers to this and maybe some Kalamata Olives if I have any. 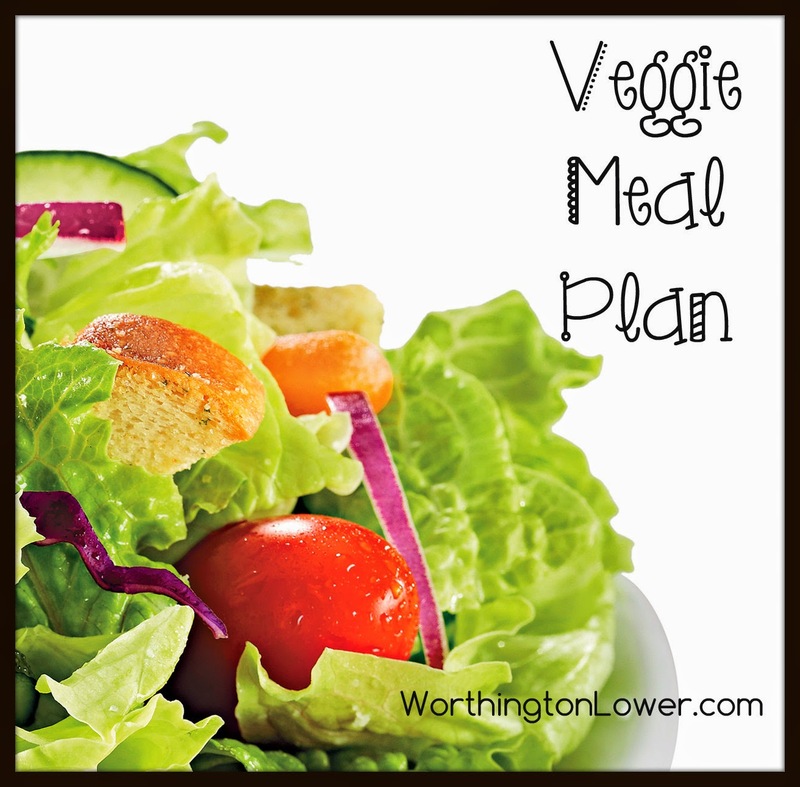 The more veggies the better and I love the extra crunch and saltiness! You could also add white beans instead of chick peas and add some Fetta for yummy Mediterranean salad. 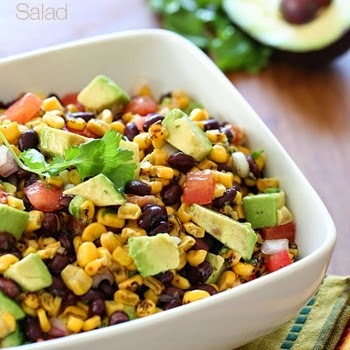 Southwest Black Bean Salad. If it has "southwest" in the title, I'm pretty much in. 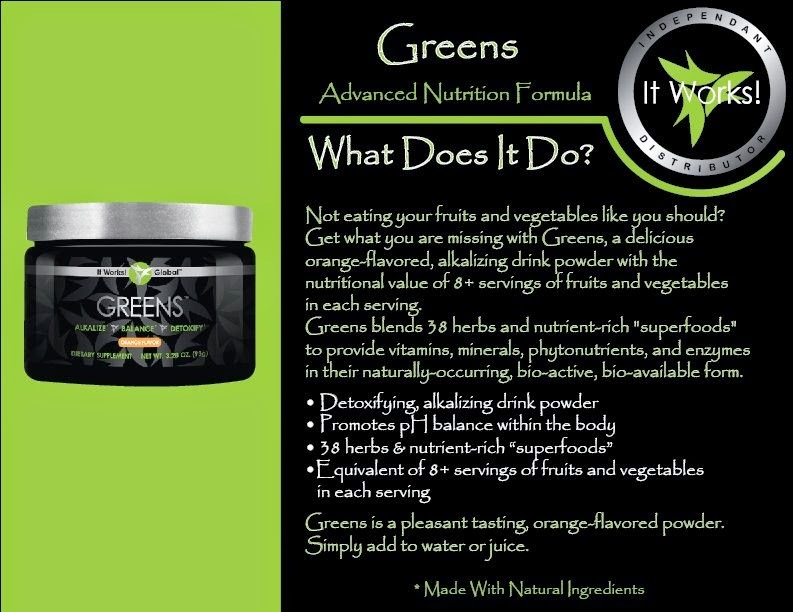 I also wanted to tell you about a supplement that I am taking called Greens by It Works! Global. It is an amazing company that sells revolutionary products. My favorite being the Greens. I also comes in Berry flavored. Both the Orange and the Berry are great in water, juice, applesauce and smoothies. It also doesn't mention that it includes a probiotic! I take this every morning and sometimes (like right now with this awful summer cold) twice. I love that I start the day "in the black" as far as my veggies. I have already consumed my full 8 servings of fruits and vegetables before I've had breakfast and I then everything else I eat is icing on the cake! Plus, my kids like it! They don't drink it everyday, but if they aren't feeling well or we see a cold coming on, I give them a half serving in some juice and gives them a little extra defense. It is such an awesome product!